This incredible insight into the life and ministry of America’s premier evangelist was conceived and assembled by the curatorial staff of Museum of the Bible and ran for many months before closing in January. Second Baptist will be the first venue for what is expected to be a nation-wide tour. 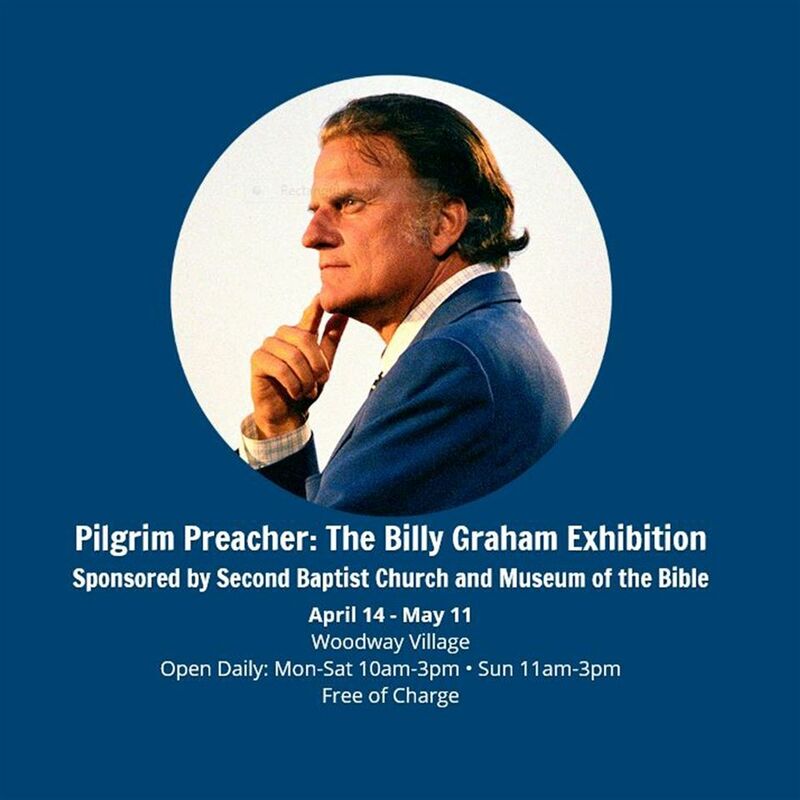 The exhibit contains many artifacts on loan from private collectors as well as the Billy Graham Evangelistic Association. Personal items such as, sermon notes, his study bible, songbooks from the crusades, one of his suits, the first and last pulpits from which he preached, and many more. The overall presentation is punctuated by videos from crusades across the years as well as many photos of Dr. Graham from all around the world. Of particular interest are photos taken of Dr. Graham with American president’s from Harry Truman to Barack Obama. It is a multi-sensory experience for the eye and ear. Central to the presentation is a historical look at Dr. Graham’s appeal for people to accept Jesus as their living Lord and Savior. The whole exhibition echoes that message of peace and forgiveness through Jesus’ sacrifice on the cross. The exhibit is a powerful combination of history and theology as seen in the life and works of “America’s Pastor,” Dr. Billy Graham.